By Brad Gaither, Team Connection, Inc. If you are like me, whether it's walking, running, working or playing volleyball, it is vital to have a shoe that is the perfect mix of comfort, style and size. Without this, we might as well not spend the money. Nothing is worse than toe slipping, blisters, or the miserable feeling of unstylish footwear. In today's world, the latter usually is not an issue, but the other issues can be areas of major concern; so how can you make sure you have the right fit? In the past, when specific shoes for the sport were an afterthought, who would have thought we would be where we are now. We have reached a point where many players are equally as concerned about their looks as they are their performance. Up until the 1930s and 1940s, there was no such thing as a specific volleyball shoe. 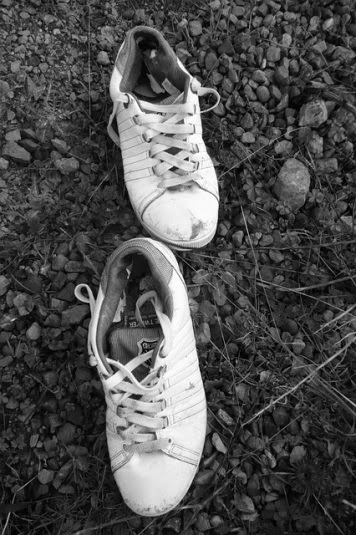 Sneakers were sneakers and that is what was used. Now we have reached a time where each garment of clothing must much, from the shoe laces, to the numbers on our uniforms, each piece is equally vital. But let's not forget the most important piece, comfort, which is especially important in finding the best pair of shoes. For the most part, when selecting a pair of volleyball shoes, for either gender, your 3 primary brands will be Mizuno, Asics and Nike. Mizuno is usually considered the leader in the clubhouse, with the highest selection, as well as being the official footwear provider of USA Volleyball. All of this is great, but how do you make sure you have the best shoe fit for your body and game? Are you a 220 pound male who jumps high and needs a lot of support for the force of landing? Surprisingly, many who fit this mold have used basketball shoes in the past. They have extreme support, with a strong mix of comfort and durability that match what a volleyball player looks for just as much as a hoops star. Is this standard? No, but with a slightly smaller market in men's shoes, and especially if the heavy hitter Mizuno does not have a product that fits your needs, this is sometimes considered a viable alternative. 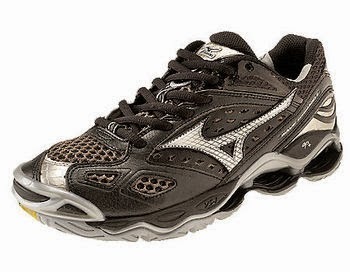 Usually, for women, a Mizuno shoe is the popular choice. Mizuno has put the most time into creating volleyball specific shoes and truly understanding the market and player needs. They have shoes that fit necessary criteria, from desired looks, comfort and durability. Lateral stability is without a doubt arguably the most important feature for a volleyball shoe, and this is what Mizuno understands with the market. With a mix of selection, lateral stability and shock absorption, Mizuno is tough to beat. This leaves two other primary brands, Asics and Adidas. Adidas, like Nike, has yet to really put a huge market focus into the sport of volleyball, though they still have some selection. One guarantee with Asics, like the Gel Flashpoint 2 pictured to the right, you will rarely miss out on a fashion statement. 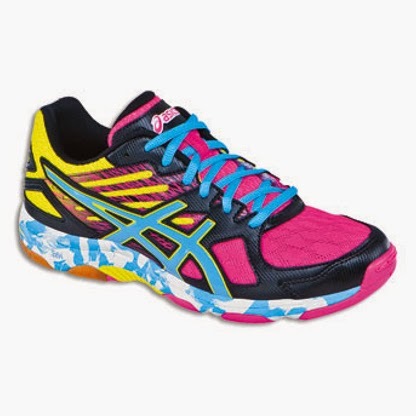 Asics is the closest to matching Mizuno's feel for the market and desire for a complete volleyball shoe, and for the most part they get it, but there colors are often times a work of art in themselves, which can especially attract a young crowd. Most importantly, regardless of the shoe; volleyball or otherwise, colorful or black, the most important thing to do is get out there and play. We share a passion for a great sport, and the modern developments of our apparel make the game more enjoyable and more popular for all. So the most important thing is to get out and play and spread the word, because unlike volleyball shoes, one thing will never change, volleyball is and always will be a great sport. Join TeamConnection's TC Club today. It is free, and offers incredible deals on name brand apparel and accessories and includes exclusive content. Team Connection is a leading supplier of uniforms and equipment to teams nationwide.